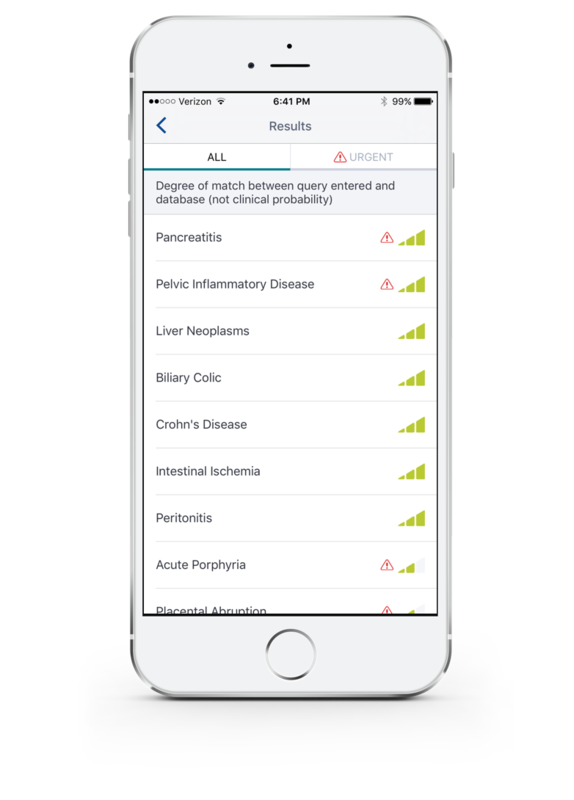 Create a mobile symptom sorter tool using existing partner data to drive subscriptions to Epocrates (the #1 medical reference app used by doctors) by adding new value to the premium product. WHY MAKE A SYMPTOM SORTER FOR DOCTORS? When a doctor sees a patient, they run through a mental list of possible diagnoses and try to rule in and out each diagnosis through questions, exams, and labs. In the average case, the patient has the most common condition, at the top of the list. But sometimes the story doesn’t add up and they have to go further down their list. Given the time pressures on doctors, the current tendency is for them to narrow their thinking too early. We wanted to help expand their thinking so they didn't miss rare or urgent diseases that might be causing the patient's symptoms. 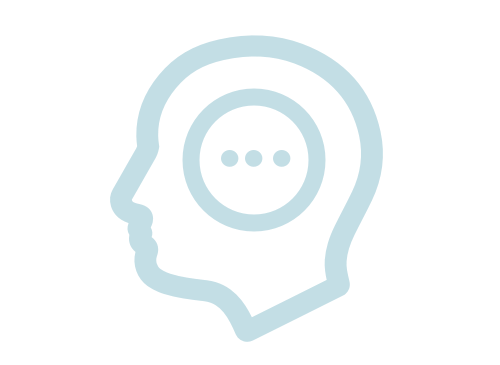 Understand mental models around diagnosis and how doctors organize diagnosis options in their heads. Find out when and how doctors seek outside help. Prioritize possible features (working with a data partner meant we had existing constraints). Initial research was rapid and iterative. We started with semi-structured interviews and generative exercises. As we gained understanding, we added sacrificial concepts. By the end of 3 weeks we got to a click-through prototype. 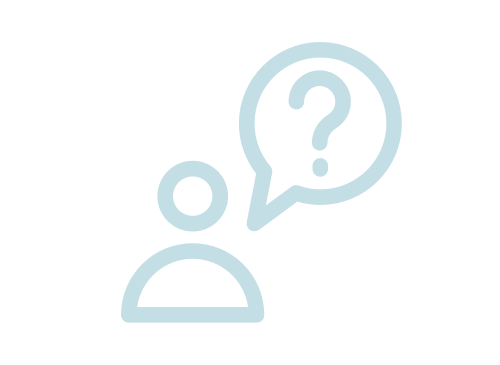 Following the initial research, we ran ongoing usability studies throughout the course of the project. This finding helped us understand the proper role of the tool: an occasional memory aid for difficult cases where the story doesn’t add up. One way we addressed doctors' need to understand how the algorithm works was by including a 'read-back' to explain why we were suggesting each disease. 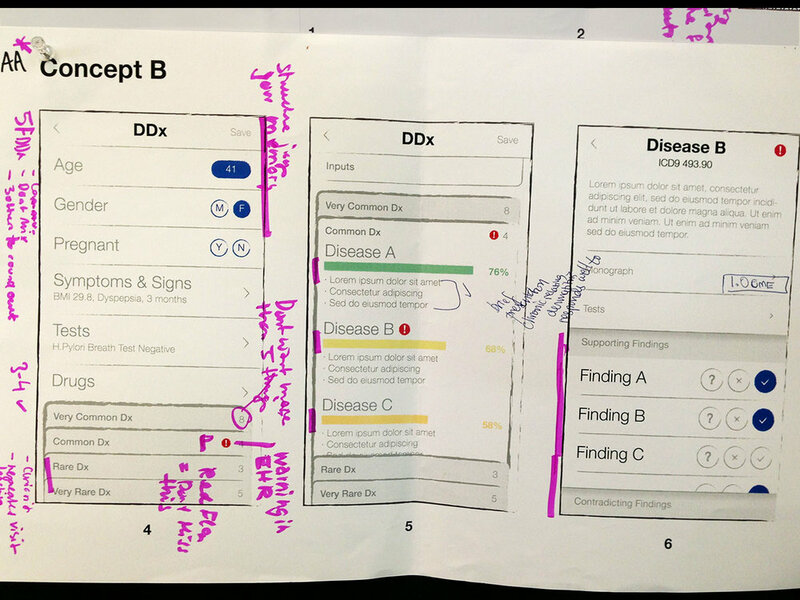 An early concept that tested well used tabs to allow doctors to flip between disease lists showing common diseases (horses), rare diseases (zebras), and urgent diseases (what is likely to kill you). Our charge was to find the sweet spot, where we expand the possibilities to a manageable and accurate group of diagnoses that doctors could work from. This meant constant iteration with the thresholds for results. The final product, a tool within the larger Epocrates app, has 3 steps. 1. Enter patient context including demographics and symptoms. 2. Evaluate a list of diagnoses ranked by match to the entered symptoms. 3. Investigate a specific disease, see why it was suggested, and learn more. We released to a general Epocrates audience following an 11% increase in engagement with the Epocrates app for users with this tool during the beta period. Within the first month of release, 20% of Epocrates subscribers were engaging with the new tool.